Kicking for points. Each swimmer chooses the distance he is aiming to achieve each time. Add up total points for the set to determine the winner. This is a total of thirty 200s. 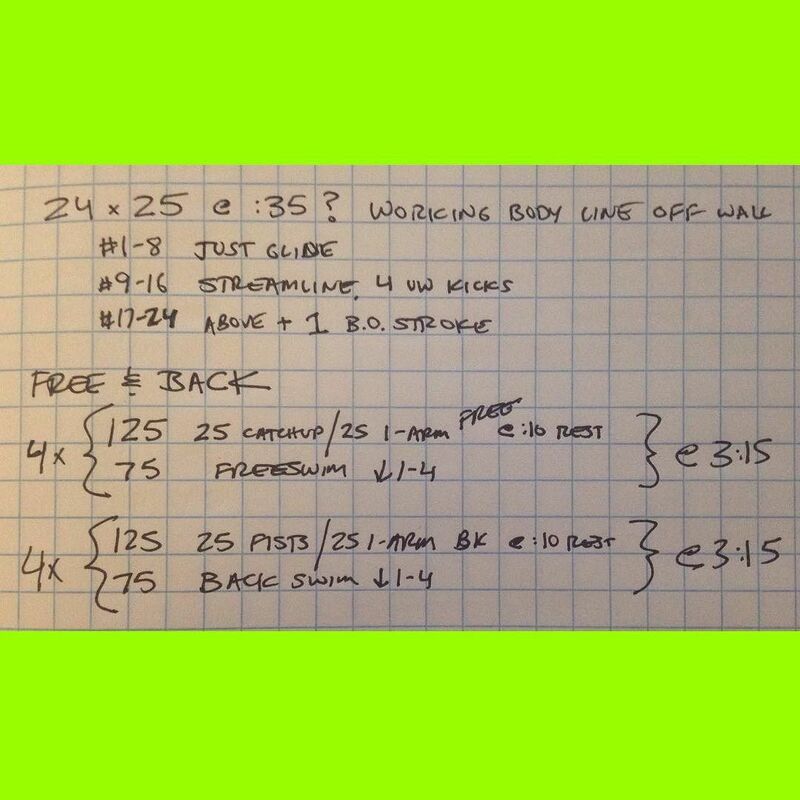 That can be repetitive, but by mixing up the paces and expectations, a swimmer can get in a real groove on a set like this. This set is from last winter. We had a Sunday practice that almost nobody was able to get to due to bad weather. The one swimmer who ended up doing this set had a phenomenal spring, dropping major time in his freestyle events from 100 to 1650. The purpose of this set is to challenge swimmers by having them swim at paces and for distances that gradually approach 200 race pace. When we did the set, we started with 175s all freestyle, and then progressed to the 180s and beyond done as athlete’s choice of stroke. Swimmers were timed to a hand touch on the 175s, and then were timed to their head breaking the line. We used a cone on the side of the pool and multiple cones on the bottom of the pool to mark the required distance. Our swimmers were very successful making the goal time (lifetime best time) all the way through the 190 yards and several were successful at the 195y distance. Distance Free? 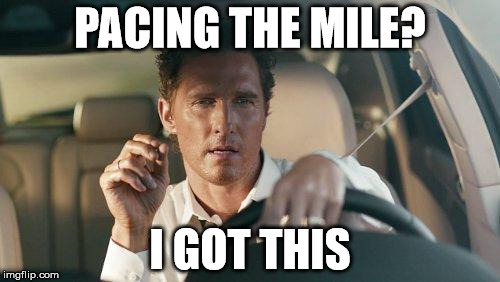 200yd Race Pace? How about BOTH?